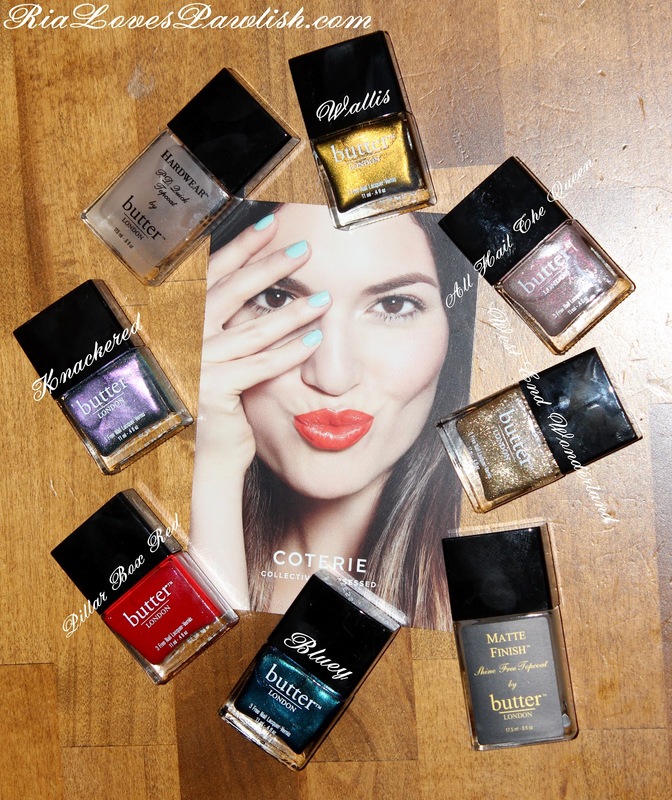 Ria Loves Pawlish: Coterie Butter London Haulage! today i just wanted to share the six polishes and two topcoats i got from the Coterie Butter London sale! it came in two shipments, but the final one came yesterday... i am super excited! i'm so happy to have Wallis back in my grubby paws, it's just gorgeous... review on that will definitely be up soon. the order came nicely packed in bubble wrapped and then wrapped with black tissue paper... i love extra touches like that! the card the polishes are around came in both packages.